Holiday gift giving is in full swing in Minnesota. But among the chocolates, nuts and cookies that may be exchanged, one product, despite its local folklore, has rarely made the cut: Spam. To most Americans, the canned processed meat packaged by the Hormel Company of Austin, Minn. since 1937, doesn’t exactly say “special occasion” or “premium meat,” yet that’s exactly how millions of people in South Korea view what has become their national ham. Spend time in Korea during major holidays like Chuseok (Thanksgiving) and Seollal (Lunar New Year), and you’ll see retailers pulling out all the stops to display Spam gift sets for Koreans to take home as they return to their ancestral hometowns. Box sets containing multiple tins of Spam can sell for up to $80, sometimes paired with cooking oil. In Korea, Spam meat is considered a premium brand. 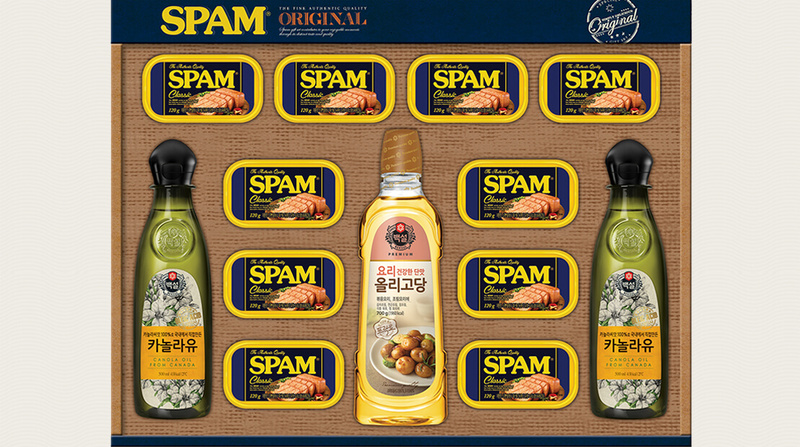 According to Hormel, Koreans eat more Spam than people in any other country outside the U.S.